The landscapes outside the window are guaranteed to thrill. But what you find inside Peruvian trains, from aesthetics to facilities, can vary widely. Train travel in Peru ranges from luxurious and tourist-oriented experiences to budget-friendly services geared towards locals. On the train routes below, those from Cusco, and the line from Lima to Huancayo, should be reserved in advance of travel. (Note that the Cusco to Machu Picchu train can be booked solid weeks ahead.) Even on luxury trains, where meals are available — but not necessarily included in the ticket price, be sure to check beforehand — it's advisable to bring your own bottled drinking water. Bring warm clothing and a coat, too: all of these routes pass through high elevations reaching nearly 10,000 feet. It's a once-in-a-lifetime rail journey that most visitors to Peru are eager to experience: the ride from Cusco into the Sacred Valley to the stunning Incan ruins of Machu Picchu. It's South America's most visited tourist destinations, and the journey is one of the most expensive (per mile of track) in the world. 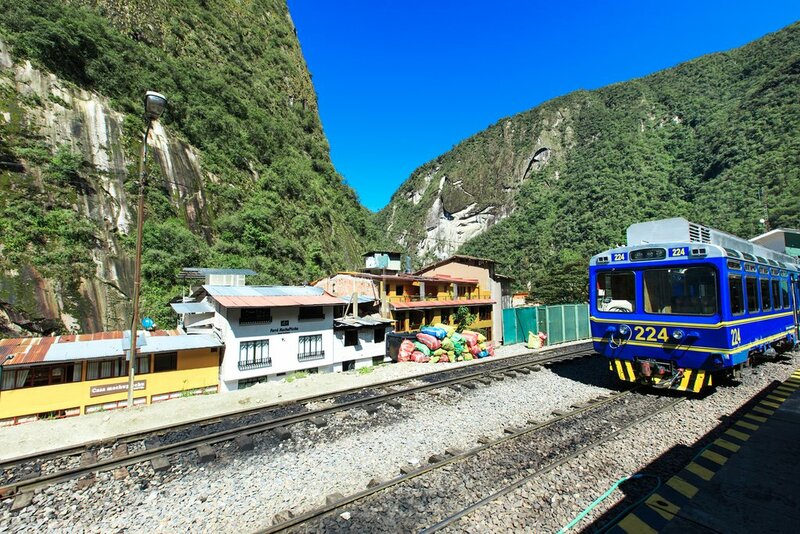 Two companies, PeruRail and Inca Rail, run trains to Machu Picchu. Departing trains leave from Cusco's Poroy rail station or from Ollantaytambo station, located two to three hours by bus from Cusco. Poroy station is usually closed between January and April for repairs; during those months, a bus transfer takes travelers from Cusco to the start of the train ride at Ollantaytambo. Bear in mind that the Machu Picchu train does not take you up to the ruins themselves: the train delivers passengers to the nearby town of Aguas Calientes, also known as Machu Picchu Pueblo. From there, you'll catch a separate bus to the ruins. Peru Rail has three services on the Cusco-Machu Picchu route. The most elegant, the Belmond Hiram Bingham, features welcome cocktails, gourmet meals, and live music onboard. Also luxurious is the Vistadome, with huge windows allowing for incredible views during the ride. The most budget-friendly service is the more basic Expedition. Inca Rail offers similar services, notably the First Class, equipped with a lounge bar, live music, and a balcony, and the simpler Voyager. Whichever train you choose, the journey is truly memorable, passing through the rocky gorges and verdant hills of the Sacred Valley. Trains stop en route at Ollantaytambo. Those traveling on the Belmond Hiram Bingham service also stop at Belmond Río Sagrado Hotel in the Sacred Valley. See this article for more on what to do in the Sacred Valley. Another popular train ride in Peru — and one that's arguably better value for the money — is the surreal, beautiful rail run from Cusco to Puno, a city on the shores of Lake Titicaca. One of the highlights of this ride is stopping at Abra La Raya, one of the world's highest passenger rail stations, located at a breathtaking 14,150 feet. The route also offers superb views of a seldom-visited part of the Andes, dotted with tradition-steeped villages and llamas grazing on the plains beneath sheer peaks. PeruRail operates this route with two services. There's a standard passenger service that takes you as far as Puno (six days per week, once per day). 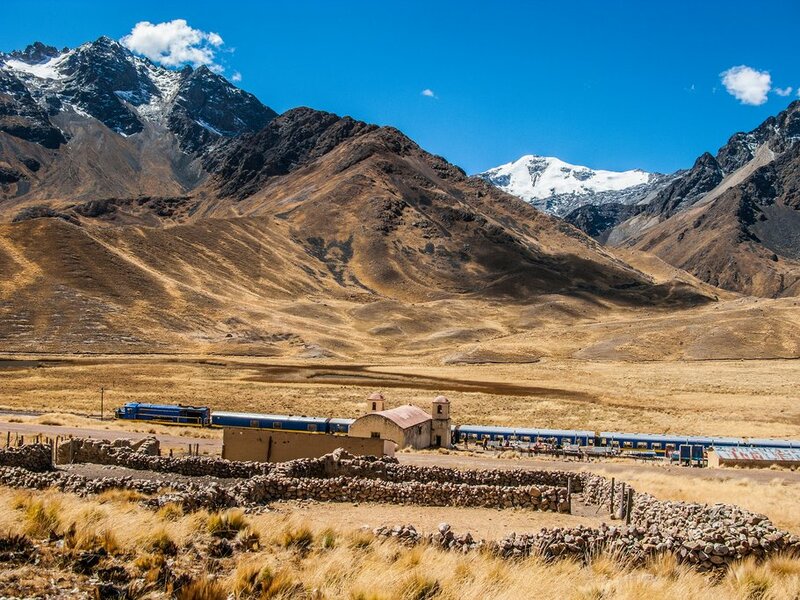 If you wish to charter the train privately, there's also a luxury extended service, Belmond Andean Explorer, which continues the run as far as Arequipa, a vibrant colonial city in the south of Peru. This route sees fewer foreign tourists, mostly for practical reasons: the train runs just twice monthly, and the trip takes twelve hours. 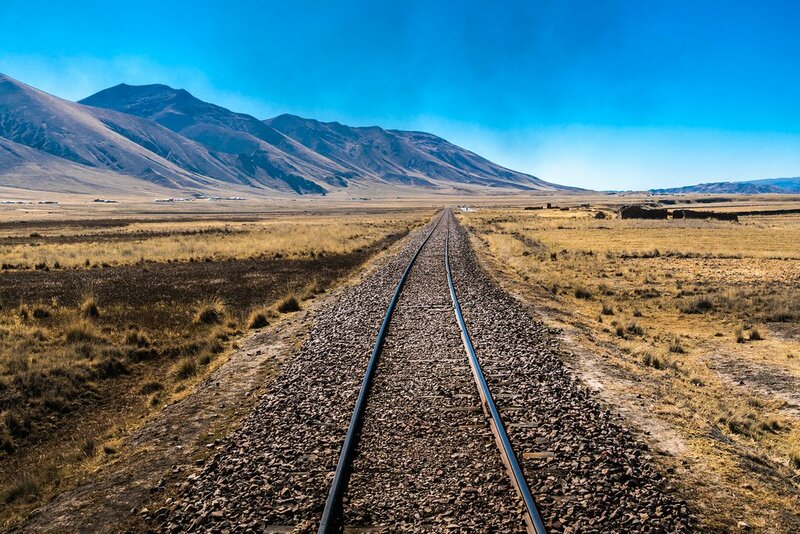 But the Lima to Huancayo train is one of the world's most epic railway rides. The journey, run by Ferrocarril Centro Andino, tackles the greatest ascent of any passenger train journey in the world, traveling from the coast up to Ticlio. At 15,807 feet, it's the highest train junction on the planet. The journey starts at Lima's ornate Desamparados station. Along the way, the train passes through otherworldly mining towns and timeless villages fabled for producing some of South America's most singular handicrafts. 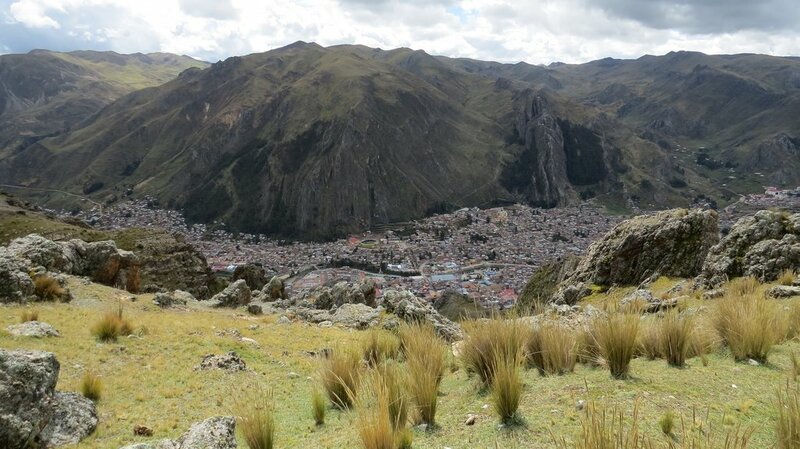 The trip ends in Huancayo, considered the most cosmopolitan city in the Central Andes. Due to the railway's infrequent service, it's advisable to book in advance. 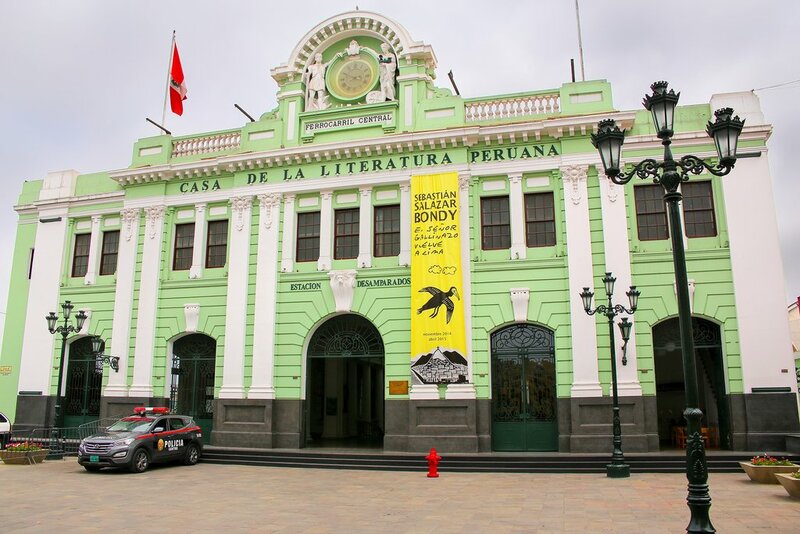 See this article for more on Peru's Central Andes. A little different than the tourist-oriented routes above, the Huancayo to Huancavelica train ride — otherwise known as El Tren Macho — is very much a local's run. It connects two of the Central Andes' most interesting cities and offers a taste of local life onboard: a perk for curious travelers who'd like to get off the beaten path. 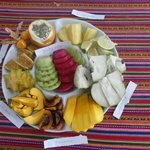 On the train, you'll have the opportunity to chat with locals and snack on foods from the Andean region. At the end of the spectacular six-hour journey, you'll end up in one of Peru's prettiest mountain cities, Huancavelica. The thrice-weekly services depart from the Chilca train station. But repairs are currently being done on the track, so at the time of writing, service wasn't operating as usual. Check into it before making travel plans.